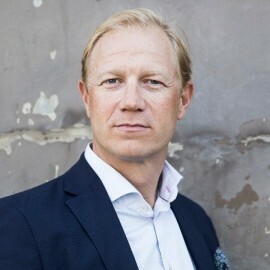 Jonas Kjellberg, one of the creators of SKYPE, is also the former head of internet investments at Kinnevik, where he was part of transforming Kinnevik  by investing more than 700M EURO into new Internet giants Zalando, Rocket Internet, Avito, Lamoda, Jabong, and HelloFresh. Jonas specialized in developing a fundamental understanding for how product, sales and profitability must interact in order to create a successful business. He supports management teams in developing their overall sales strategy and a winning sales culture. Organizations today face new demands as customer satisfaction is becoming more and more transparent with users increasingly sharing their experiences. He is a popular lecturer at Stanford University and Stockholm School of Economics where he lectures on entrepreneurship and how to create exponential growth. He is also one of the authors of the book, Gear Up, written together with Harvard and Stanford professors. Jonas has a MBA from Uppsala University and an engineering degree from the Royal Institute of Technology in Stockholm. Jonas is also an experienced Venture investor: Jonas was assigned to build Kinneviks internet investment arm, with success investments in Zalando, Rocket Internet, HelloFresh, Avito, Yell, Dafiti, Lamoda. Jonas was also the Chairman for iCloud, sold to Apple and Founder of Player:IO.